The Tiger Touch Fader Wing offers you a massive 30 additional faders to all of your playbacks, fixtures and palettes. Giving you instant access and complete control to your event lighting. 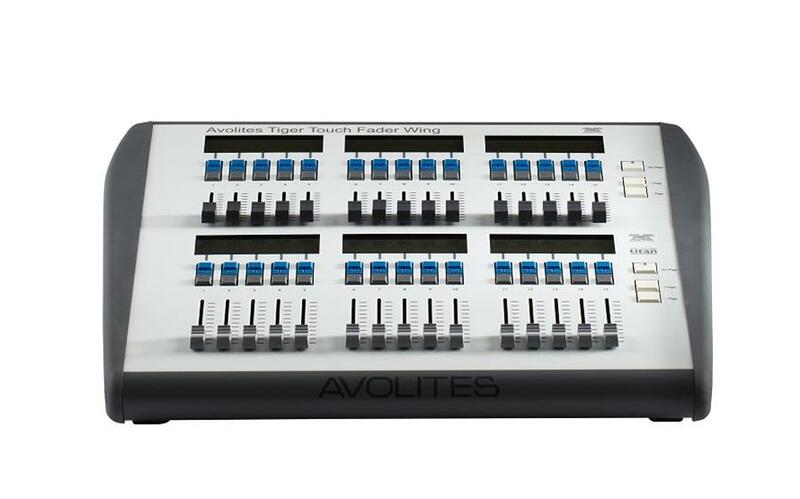 Programmable macro buttons and local, independent paging control along with electronically LCD backlit faders means that world class shows are in your hands. Production Hire own a state of the art Avolites Tiger Touch Wing for dry hire to support your live music event. Call or contact us for your free no obligation quote regarding Avolites Tiger Touch Wing dry hire. One of the Production Hire team will be happy to help.